Yagyavalk is a senior research analyst who has worked on developing the KAPSARC Renewable Energy Policy Atlas and the KAPSARC Energy Policy Database – Renewable Energy India. 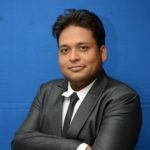 He has also worked as a research fellow with Himalayan environmental studies and conservation organization Uttrakhand, providing sustainable development and decentralized renewable energy system solutions to the rural sector of North India in association with the Ministry of New and Renewable Energy, Government of India. Yagyavalk also worked at IBM India Pvt. Limited as a software developer. He is part of a volunteer team that provides sustainable development in remote villages of the Alaknanda watershed, Uttrakhand, India, and a team member of the Climate Reality Leadership Corps. Yagyavalk holds a bachelor of engineering degree in electronics and communication, and a master of technology degree in renewable energy engineering and management from TERI University, India. As an emerging economy, a major part of India’s nationally determined contribution (NDC) under the Paris Agreement is an emissions intensity target. 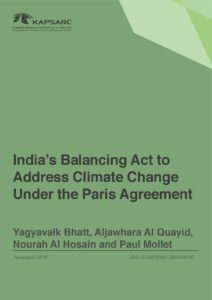 With its current policies, India is on track to achieve its climate targets under the Agreement. However, the Indian government is balancing a complicated set of domestic priorities and constraints against its wish to be seen as a global leader on climate change. 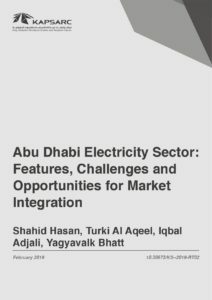 This paper, based on field research in India, outlines the key findings from a set of interviews regarding the implementation and enhancement of India’s NDC: Coal is still the cheapest source of baseload electricity in India and will continue to be its main fuel source for electricity. India is constrained in its ability to prioritize climate change objectives by the need to expand energy access and for low-cost energy. India would like to be seen as a leader on climate change, particularly when compared to other emerging economies such as China, whose targets are treated as a benchmark. This wish is balanced against its need to continue its economic expansion. India tends to take a conservative approach to international commitments. The Prime Minister of India has the final say on climate policy matters, but consults with and is advised by a small number of actors in his Council on Climate Change. Think tanks play a major supporting role in climate policymaking.